Stories and historical images abound in Lance Fleming's new book about ACU football. 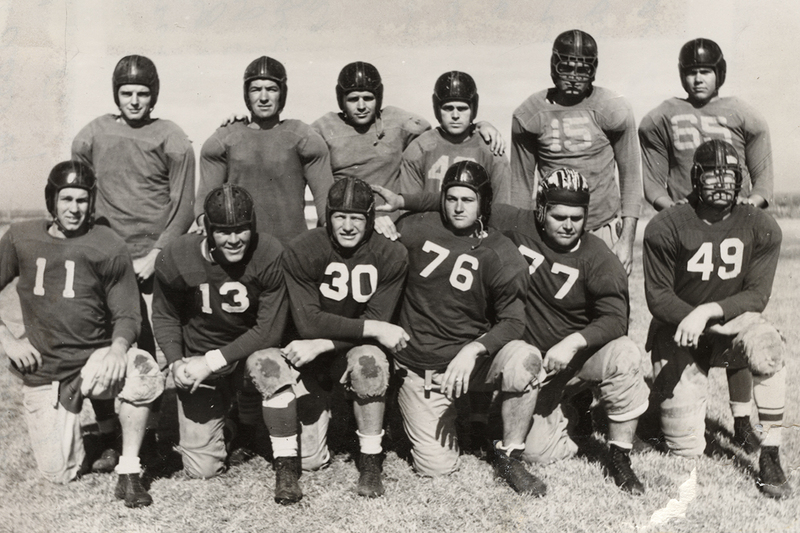 Here, a few of the 1941 Wildcats – some wearing early models of face masks – pose for a publicity photo during practice. Of the various books published about Abilene Christian University through the decades, none has been focused entirely on its largest and most visible athletics program. Until now. ACU Press chose Homecoming week 2018 to introduce Wildcat Football: Three Cheers for the Purple and White, a comprehensive volume about the Hill’s most popular sport over the past 97 seasons. 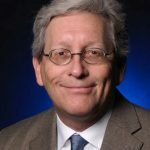 Lance Fleming (’92), now in his 21st year as associate director of athletics for media relations, is the author/compiler, with help from several other veteran alumni sportswriters whose collective time covering ACU spans more than 200 years. Fleming (left), Dr. Charlie Marler (center) and Garner Roberts (right) pose together in the press box at Shotwell Stadium in 2016. 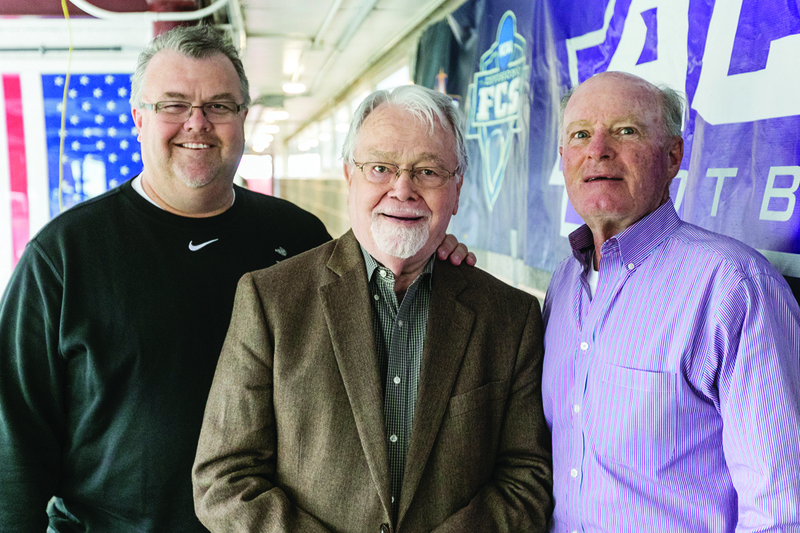 Marler (’55) and Roberts (’70) – former ACU sports information directors like Fleming – are two of the contributing writers to his new book on ACU football history. From stories about the first men to wear leather helmets in 1919 to today’s 2018 team, from legendary coaches to NFL stars, from conference to national champions and the university’s first member of the College Football Hall of Fame, from conference titles to world records, from old A.B. Morris Stadium to today’s sparkling Anthony Field at Wildcat Stadium – the book has it all, including statistics and lists of award winners through the years. Wildcat Football: Three Cheers for the Purple and White can be purchased at The Campus Store in McGlothlin Campus Center, and online at acupressbooks.com.